Happy Giving Tuesday everyone! Today is probably one of my favorite days of the year. Why? Because it’s the only day where it is encouraged for everyone to give.It’s a day when we think of how we can make someone else’s life better. Instead of scouring for deals, we spend money donating to organizations that could use it to make a difference. 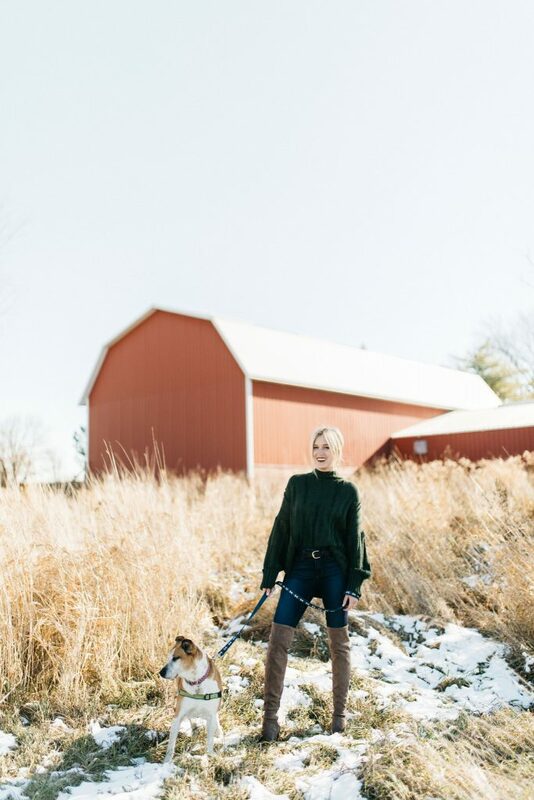 This year, for Giving Tuesday, I’m partnering with ALIVE Rescue to raise money for their Big Barn. As you are probably already aware, I have so much love for ALIVE rescue. 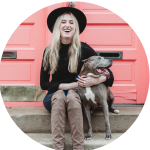 It’s the organization I chose to launch my tee shirt line with, it’s the group that introduced me to CRISP partners, and overall, they’re badass women (and a few men) doing amazing things daily for animals. Now that I’ve gushed about what they have done, here’s what they’re going to do: ALIVE will double the number of animals they save each year once the Big Barn is complete. 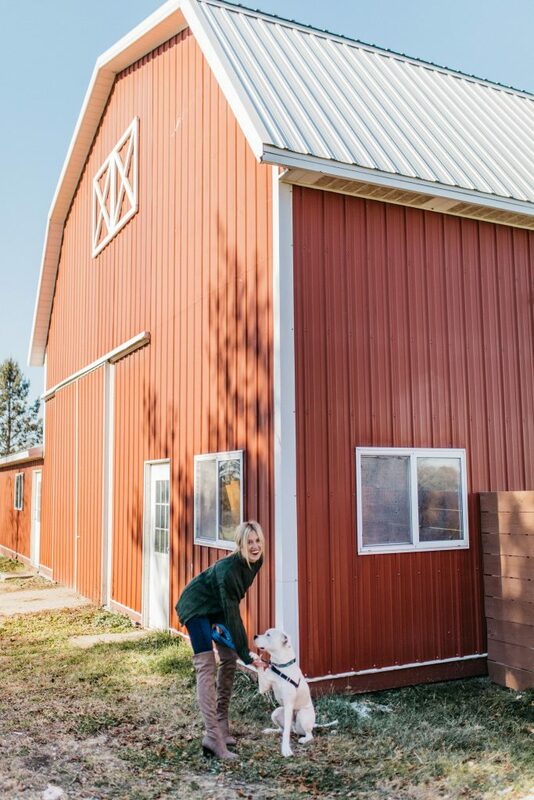 ALIVE Rescue calls their current facility in Chicago the “Little Barn” and in 2016, a family donated an actual barn to them. 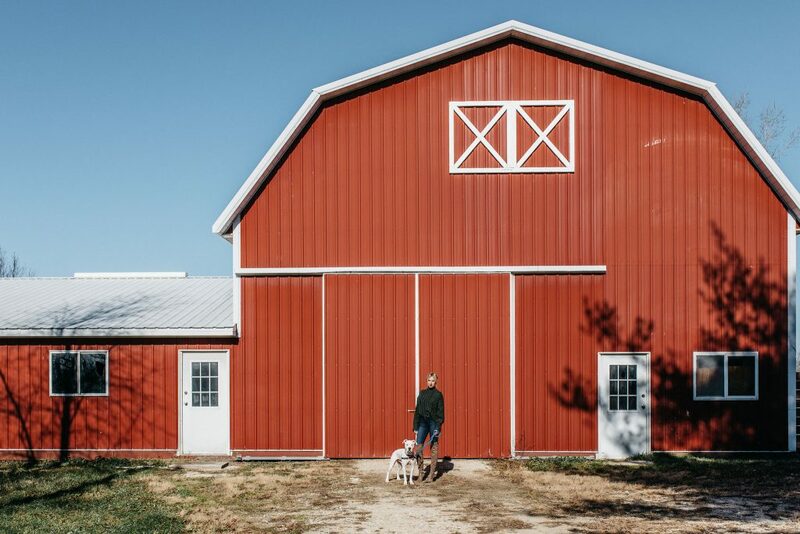 Now referred to as the Big Barn, this old dairy farm in Salem, Wisconsin will be converted into a sanctuary and rescue for all animals in need. The property is 70 acres and the barn itself is 4,800 square feet. That a whole lot of room for a whole lot of animals. 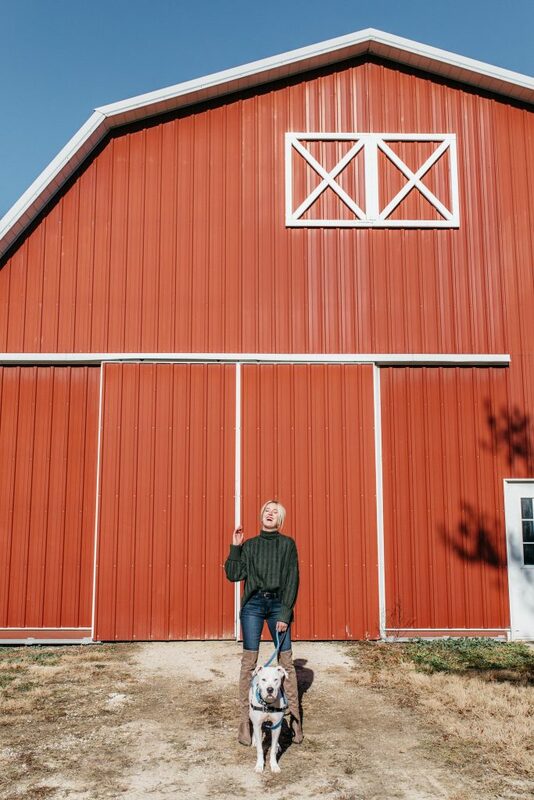 I was able to visit the Big Barn a few weeks ago and I was blown away. 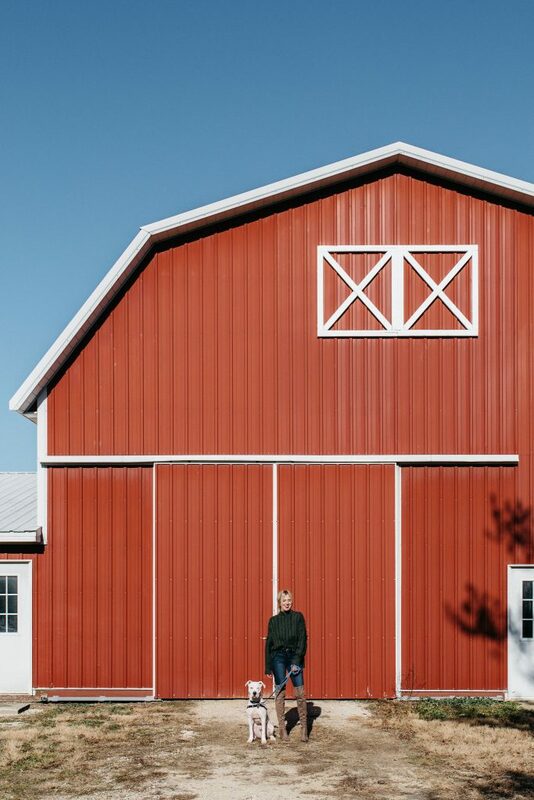 First, it’s a literal barn. As a city girl, I was in disbelief that the massive red structure wasn’t something right off a movie set. It is beautiful. 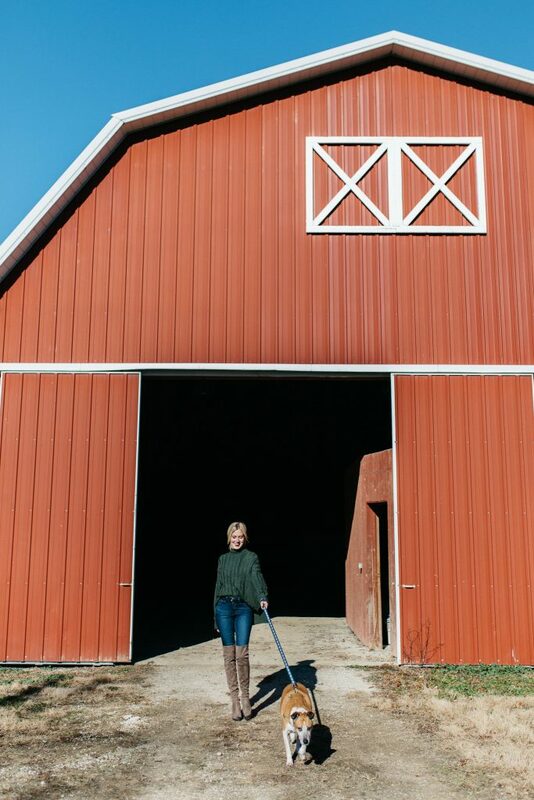 As we walked around the barn, Kristen, the founder of ALIVE, was telling me about their plans. I could visualize what the space would look like. By the end of the tour, I was asking when I could move in. There will be two birthing suites for pregnant and nursing moms, along with 18 kennels, some with access to the outdoors. There will also be an indoor play area and retirement room for harder to place dogs. 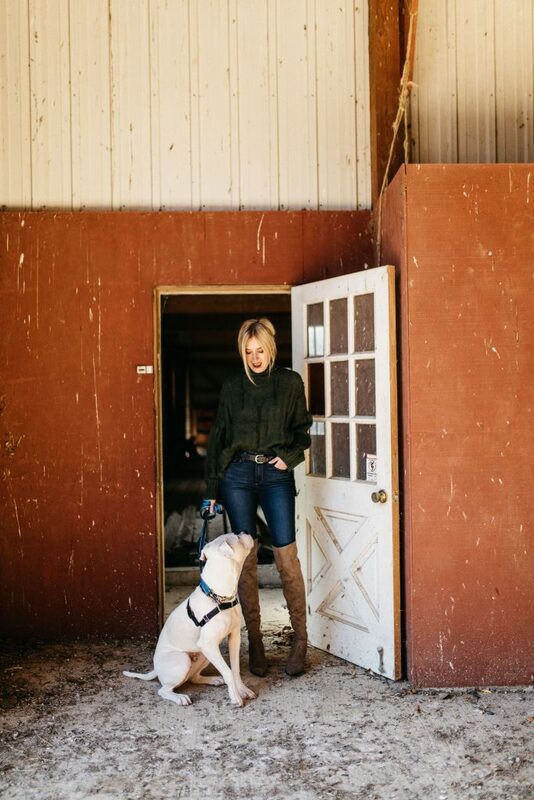 Outside of the barn, there will be outdoor kennels and trails throughout the property. These dogs will have the absolute best time while waiting for their forever home. 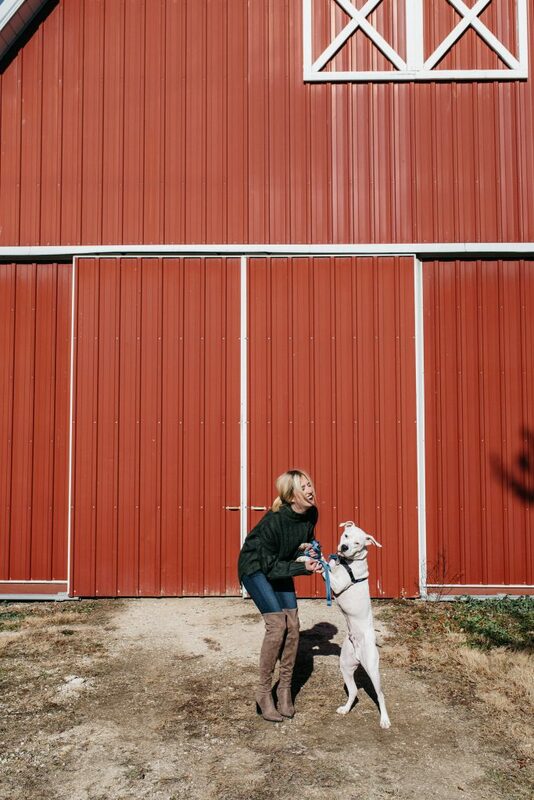 It’s a good thing the Big Barn will be any dog’s dream because it will cater to difficult dogs. Ones that are sick, old, heartworm positive, and otherwise don’t do well in a small shelter setting. 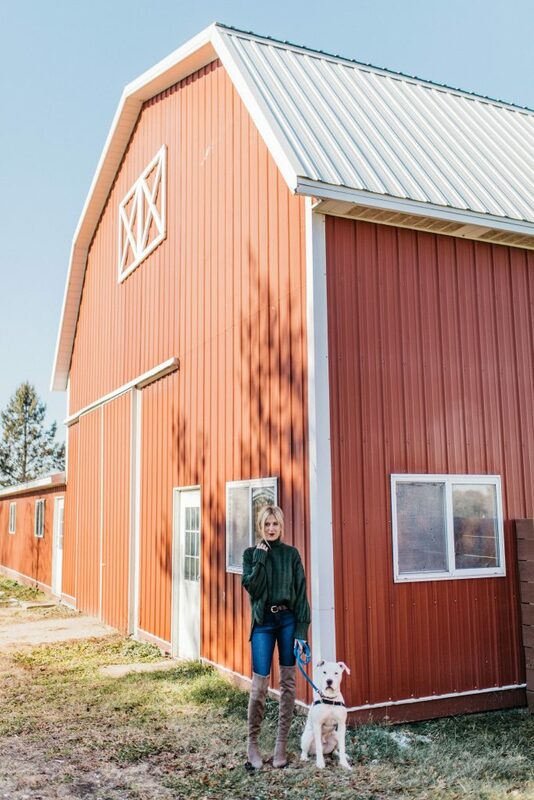 This barn will start off with just dogs, but eventually, they’ll be opening their (big) doors to cats, horses, pigs, sheep, and any other animal in need. how does this tie into my #GivingTuesday campaign? Well, the Big Barn needs big renovations! ALIVE is hoping to raise $50,000 today in order to jump-start the work. My own personal goal is to raise $1,500 and in case I haven’t convinced you to donate yet, I’m going to give YOU something. 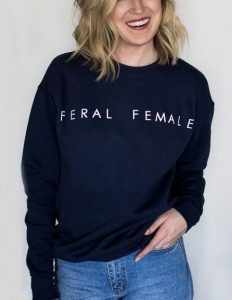 – Donate $30 or more – you’ll be entered into a drawing to win my brand spanking new Feral Female crewneck sweatshirt! Seriously, this thing isn’t even available yet. You cannot buy it so you might as well try to win it! – Donate $75 or more – you can be me for the day! You’ll be entered into a drawing for the chance to win a photo shoot with me and my photographer Margaret Rajic. 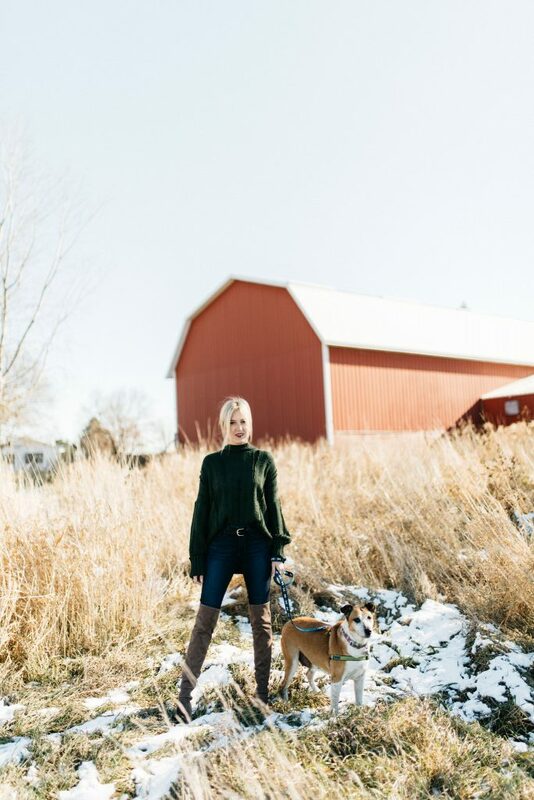 You can choose to do a shoot with an adoptable dog from ALIVE rescue, or a shoot with your own dog! *Once you’ve donated you must send me proof of donation (via email Christine@rescueinstyle.com or Instagram @rescueinstyle) in order to be entered in the drawing! So, what are you waiting for? Donate now! I know people say this all the time, but really, any bit will help. If you have the ability, please consider donating to ALIVE and support their dreams of building a Big Barn for so many animals in need. Sammich – Love his name and his face? Well, he’s also a very good boy. He likes other dogs, loves couch cuddles, and loves toys. He also loved munching on ice so I imagine he’s so excited for the Chicago winter. Sammich is a little over a year old and came in through CRISP. 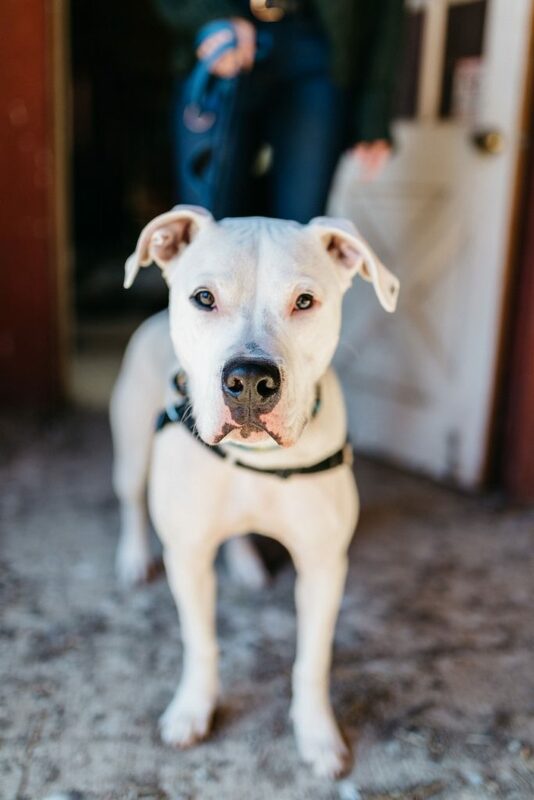 For more information about this boy, click here. 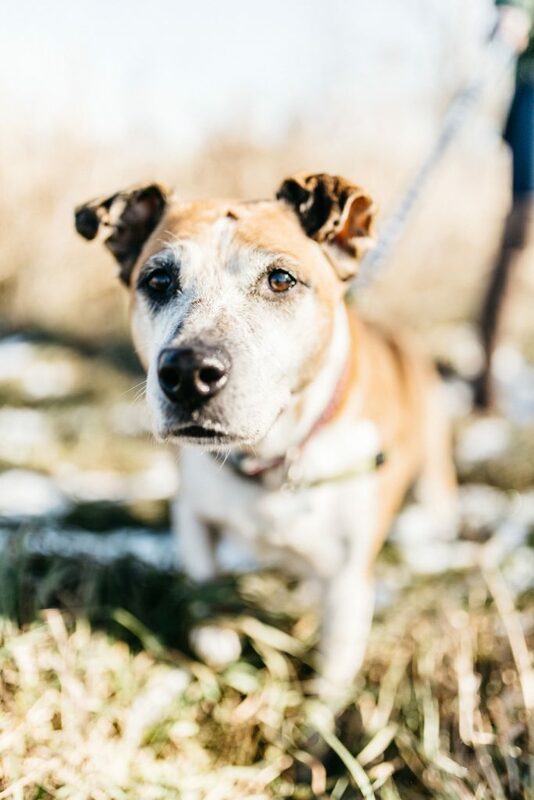 Wendy – If a senior lady is more your style, hey hi hello, here is Wendy. This sweet girl came to ALIVE through CRISP and was severely underweight. With a little TLC, she’s now doing much better. She’s definitely been through a lot so she needs someone who will go slow with her. She’d prefer to be the only pet in the home so if Wendy is the one for you, click here. I LOVE this sweater. I found it at Belle Up and was drawn to the coziness and texture. 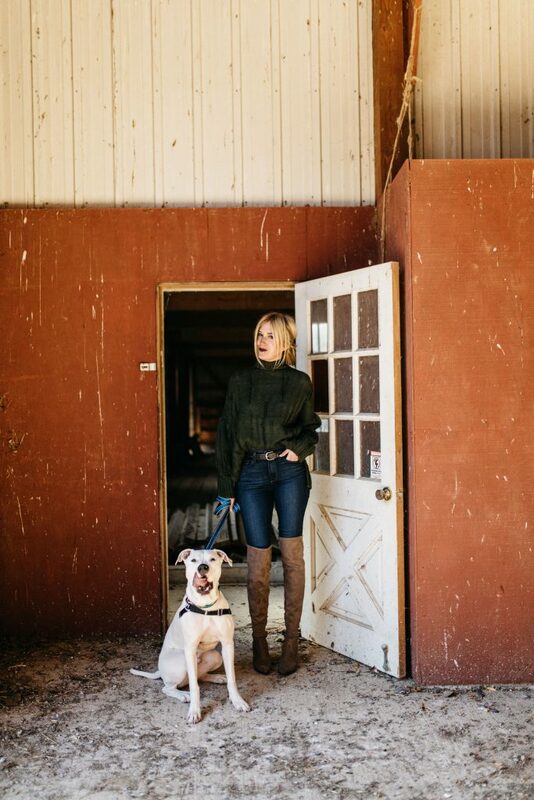 You can call Belle Up for more details on this sweater and I found a few similar ones below. These boots are some of my favorite and were just restocked. Put on a pair of jeans and belt and ta-da. Shop the look below!